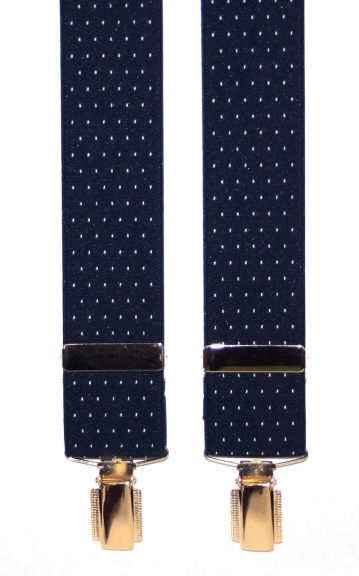 A pair elasticated navy trouser braces with white polkadots. A navy handkerchief with medium sized white spot polkadots surrounded by a broad navy blue border. Made from pure english silk.